When Will Hunt was sixteen years old, he discovered an abandoned tunnel that ran beneath his house in Providence, Rhode Island. His first tunnel trips inspired a lifelong fascination with exploring underground worlds, from the derelict subway stations and sewers of New York City to the sacred caves, catacombs, and tombs, from bunkers to ancient underground cities in more than twenty countries around the world. 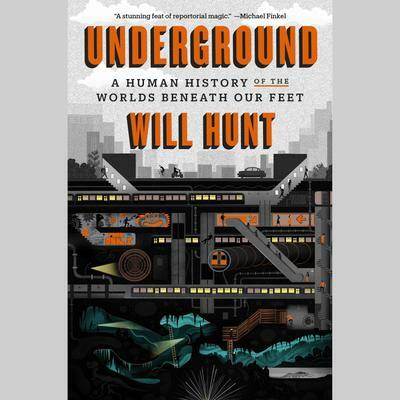 Underground is both a personal exploration of Hunt’s obsession and a panoramic study of how we are all connected to the underground, how caves and other dark hollows have frightened and enchanted, repelled and captivated, us through the ages. Each adventure is woven with findings in mythology and anthropology, natural history and neuroscience, literature and philosophy. In elegant and graceful prose, Hunt cures us of our “surface chauvinism,” opening our eyes to the planet’s hidden dimension. He reveals how the subterranean landscape gave shape to our most basic beliefs, including how we think about ourselves as humans. At bottom, Underground is a meditation on the allure of darkness, the power of mystery, and our eternal desire to connect with what we cannot see.